The 40th edition of Film Fest Gent opens on Tuesday 8 October with the dramatical thriller 'The Fifth Estate' by Bill Condon, with British actor Benedict Cumberbatch in the role of WikiLeaks founder Julian Assange. Triggering our age of high-stakes secrecy, explosive news leaks and the trafficking of classified information, WikiLeaks forever changed the game. 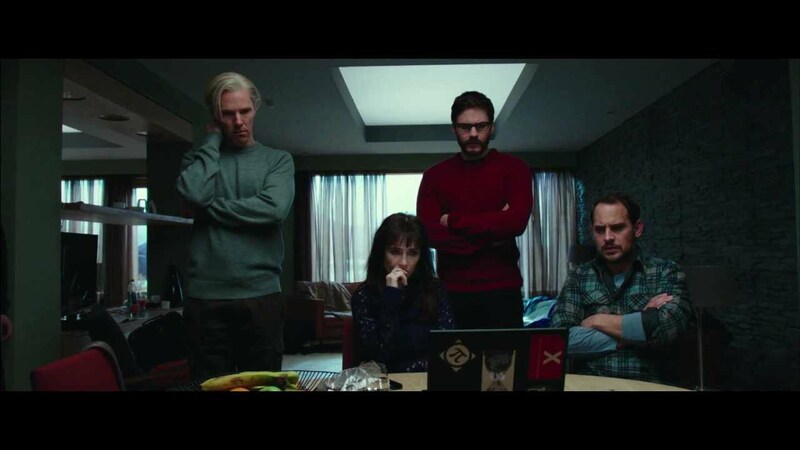 Now, in a dramatic thriller based on real events, 'The Fifth Estate' reveals the quest to expose the deceptions and corruptions of power that turned an Internet upstart into the 21st century’s most fiercely debated organization. 'The Fifth Estate' is directed by Bill Condon, who previously directed the - critically acclaimed film 'Dreamgirls' as well as 'Kinsey' and two 'Twilight' films. German actor Daniel Brühl ('Good Bye Lenin', 'Inglorious Basterds') plays Daniel Domscheit-Berg, Assange's former right-hand man through whose eyes the history of WikiLeaks is revealed. Other roles are played by Carice van Houten, as a member of the Icelandic parliament who acts as the spokeswoman for the controversial internet activist, with Laura Linney and Stanley Tucci playing American government officials. Supporting roles are played by Anthony Mackie, Alicia Vikander, David Thewlis, Dan Stevens and Moritz Bleibtreu. The music was composed by Carter Burwell, the regular composer for Joel and Ethan Coen. “Film Fest Gent has several good reasons to open its anniversary edition with 'The Fifth Estate',” says Artistic Director Patrick Duynslaegher. 'The Fifth Estate' is a DreamWorks Pictures and Reliance Entertainment presentation in association with Participant Media.. Flemish producer Hilde De Laere ('The Memory of a Killer' and 'The Loft') is one of the co-producers. In the Benelux, the film is distributed by Entertainment One. The film will be released on the 4th of December. The 40th Film Fest Gent runs from 8 to 19 October at Kinepolis Gent, Studio Skoop, Sphinx, Capitole, Bijloke, KASKcinema, Caermersklooster Provincial Cultural Centre and 't Kuipke. Tickets and info are available on www.filmfestival.be.